Together, let’s shine a light on the importance of children’s hospitals and how donations help kids get the best care when the need it. Start a Facebook fundraiser. Help raise ciritical funds for Children’s Specialized Hospital. https://cmnhospials.org/how-to-successful-fundraiser/ to get started. Wear a bandage. 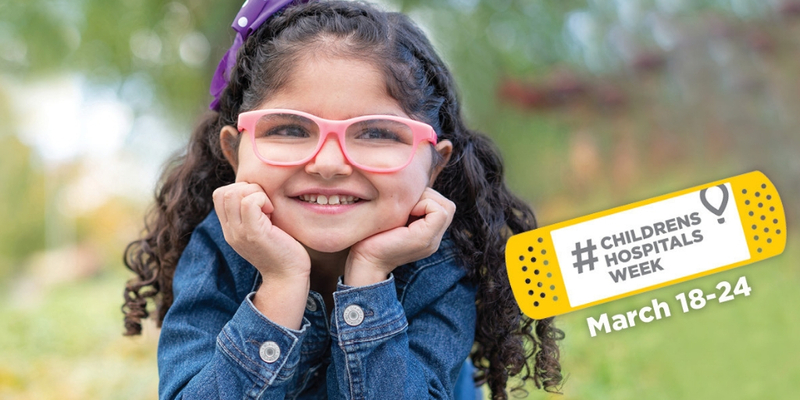 Show your support for children’s hospitals by wearing a bandage of your choice, taking a photo, and sharing it with the #ChildrensHospitalsWeek hashtag. 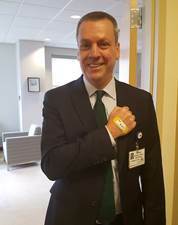 Check out Warren E. Moore, FACHE, President and Chief Executive Officer of Children’s Specialized Hospital showing his support!